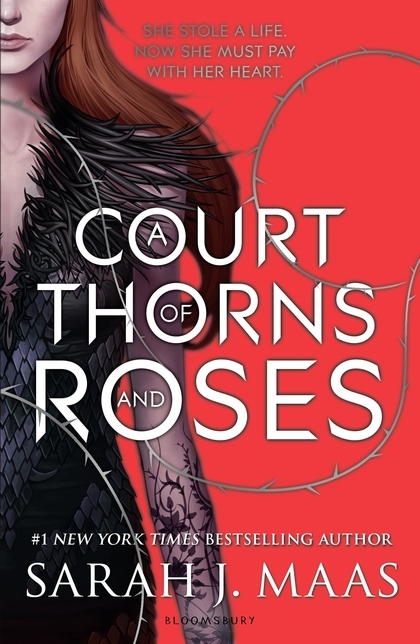 has bought rights on her fantasy novel A COURT OF THORNS AND ROSES! The company which is famous for Resident Evil movies and Shadowhunters series, will make a movie out of this fantasy story about Feyre, who finds herself entwined with faeries after unknowingly killing one. 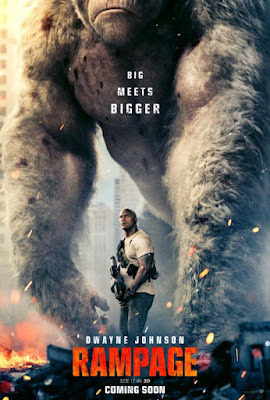 When the young huntress kills a wolf in the woods, a beastlike creature arrives to demand retribution for it. 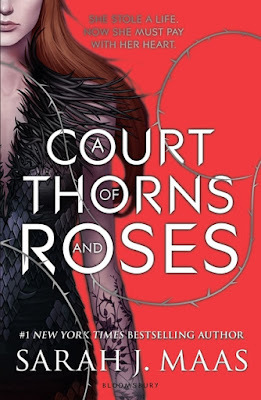 Dragged to a treacherous magical land she only knows about from legends, Feyre discovers that her captor is not an animal, but Tamlin, one of the lethal, immortal faeries who once ruled their world. Feyre must find a way to stop it or doom Tamlin and his world forever. 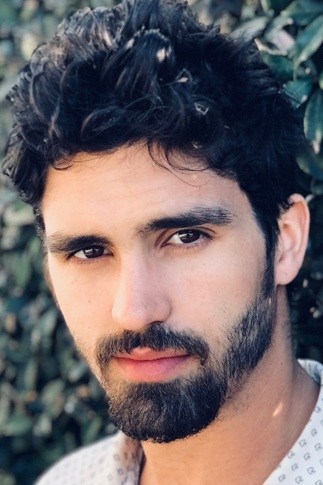 Meanwhile in the world of comedies, Tom Maden has been cast by CBS as lead opposite Emily Osment in 25 multicam sitcom about twenty something Kyle (Matt Shively), who comes to Austin to finally convince his old best friend from camp, Kate (Osment), that they are perfect for each other. Unfortunately, she just got engaged. A lot of guys would give up; Kyle is not one of those guys. But to Kyle’s surprise, even though he came to town looking for “the one,” he might end up with much more than that. Maden will play her sincere and nice fiancee who welcmes Kyle to town with open arms, unaware that Kyle is angling to steal his fiancée away from him. CBS has also find a female lead in gorgeous Amber Stevens West for the pilot of their untitled Damon Wayans Jr. multicam sitcom in which he plays Peter and she will be Claire, a thirty something couple who are tired of their mundane life and start to reconnect with their younger, cooler selves when one of his clients, an emerging pop star (Felix Mallard), who is drawn to their super-normal suburban life, moves in. NETFLIX ORDERS 'CURSED' LADY OF THE LAKE EPIC SERIES FROM ARTHURIAN LEGENDS! 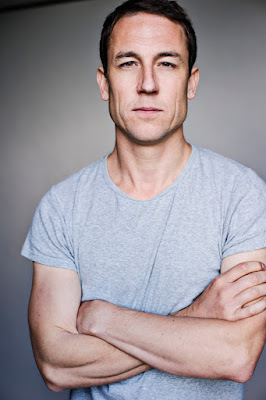 TOBIAS MENZIES IS PRINCE PHILIP IN 'THE CROWN'! 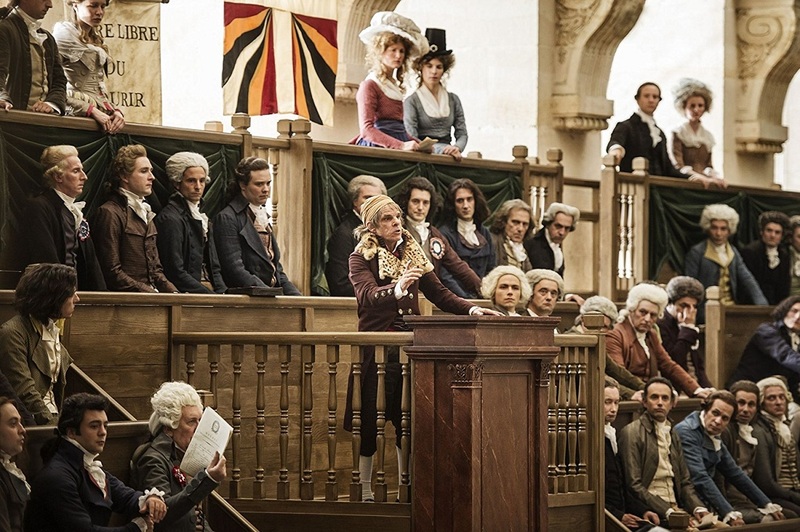 'ONE NATION, ONE KING' FRENCH REVOLUTION EPIC DRAMA PHOTOS! You've probably heard it by now, but here it is in case you've missed it: Tobias Menzies will play Prince Philip in season 3 of Netflix historical drama THE CROWN! There were rumours that Paul Bettany might take the role from Matt Smith, but it will be Rome, Game of Thrones and The Terror star who will play the queen's husband in their mature years. As you already know, the queen will be played in the third season by Olivia Colman. 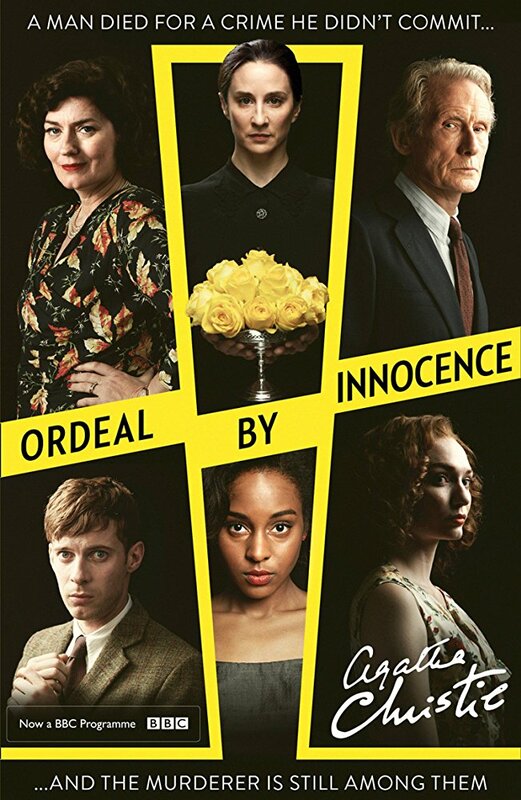 Vanessa Kirby who played Princess Margaret will be replaced now by Helena Bonham Carter! And yet another beautiful new epic series to announce for you after a whole week of brilliant news from the historical series front! 'Deadline' reports that Netflix has ordered a ten episode TV adaptation of CURSED following Lady of the Lake from Arthurian legends. The production of the movie cost about 17 million euro! epic drama featuring some of the finest French actors of their generation and complimented by the visually stunning filmmaking of Pierre Schoeller. JAVIER BARDEM TO LEAD STEVEN SPIELBERG'S AND AMAZON'S EPIC MINI SERIES ON CONQUISTADOR HERNAN 'CORTES'! 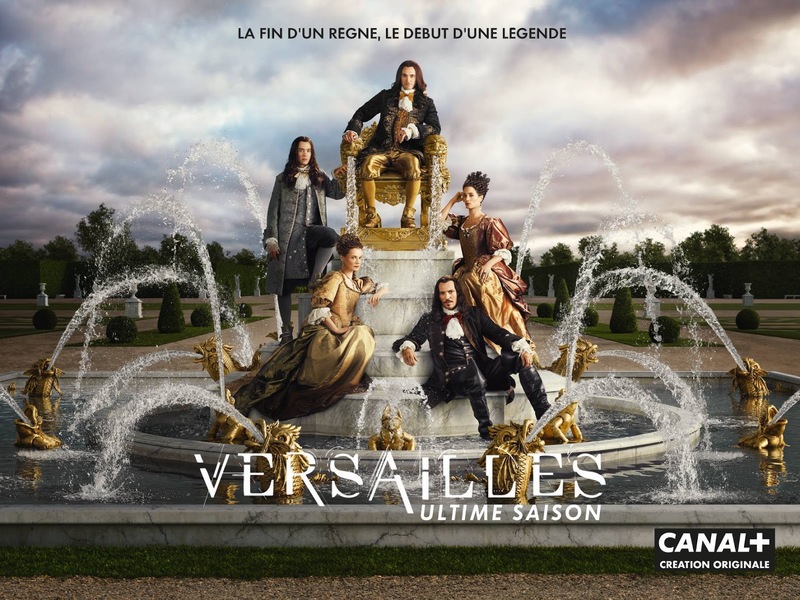 'VERSAILLES' EPIC SERIES TEASER SHOWS THE MAN UNDER THE MASK! After a whole bunch of amazing new epic TV series that I announced yesterday, here's another one, equally brilliant: Amazon has greenlit four episode mini series CORTES coming from Steven Spielberg's production house based on a half a century old script rewritten by Steven Zaillian who got an Oscar for Schlinder's List! Javier Bardem will take the lead role in the epic saga about the infamous conqueror, Hernan CORTES who, some 500 years ago, led a rebellious expedition to the heart of King Montezuma II’s Aztec empire, connecting two civilizations for the first time and changing the course of history. The producers promise a saga filled with drama and adventure. Cortes was celebrated in Europe as someone who expanded Spanish Empire and viewed as genocidal psycho by Aztec tribes who ended one of the greatest civilizations of that time. About five years ago the spy informed you that Scorsese also planned to make a project on Cortes with Benicio del Toro. Alexander Vlahos, discovering a dungeon with the man under the mask from the famous 17th century legend of Louis' hidden twin brother. Massive news coming from ITV today! 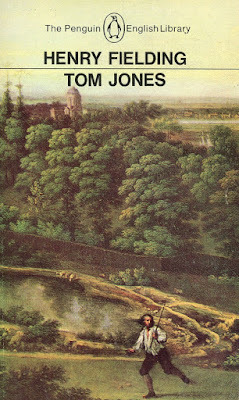 They will join Mammoth Screen, who is doing Victoria, Poldark and Vanity Fair, in adapting classic novel TOM JONES into a new period set series! 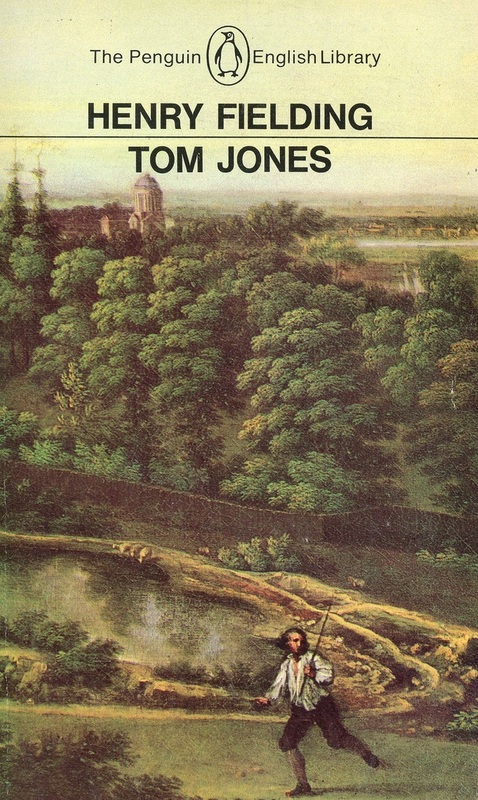 The raunchy 1749 novel from Henry Fielding follows often very scandalous and bawdy sexual exploits and merry adventures of the young and good hearted 18th century foundling Tom Jones in a story full of twists and surprises. As 'Radio Times' reports, the project hasn't been officially greenlit yet, but it is expected to start shooting next year. Screenwriter Gwyneth Hughes who is penning the project thinks the story is ideal for current atmosphere as Tom never sleeps with women who don't want him and is always a perfect gentleman! According to rumours, the studio is negotiating with a big star to take the lead role! 'HUNCHBACK OF NOTRE DAME' EPIC TELEVISION SERIES? 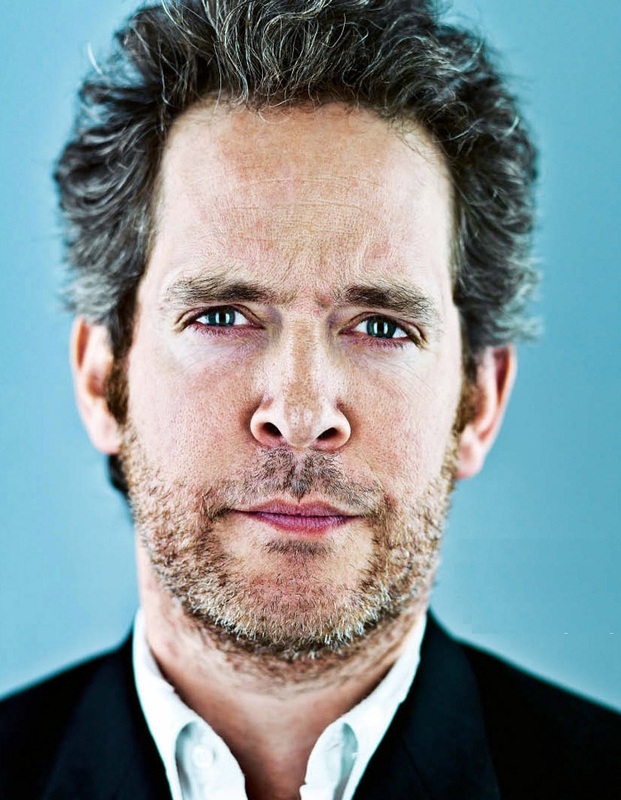 now they're hired Dr Thorne and Taboo's Tom Hollander in the titular role! He is also producing the adaptation of Victor Hugo's classic with War and Peace Andrew Davies penning the script. 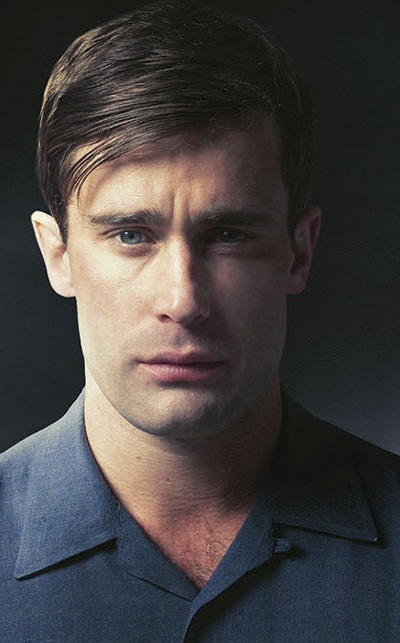 In the series set in 1482 and following the love between hunchback Quasimodo, the Cathedral’s half blind and deaf bell-ringer, and a beautiful woman called Esmerelda, Hollander would play the Hunchback himself. They are currently seeking for foreign production partners. The writer got a six digit advance for this one! 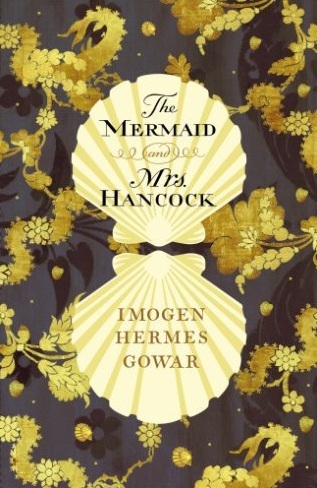 Another epic series we can expect is the adaptation of Imogen Hermes Gowar's THE MERMAID AND MRS HANCOCK. Playground Entertainment (Wolf Hall, White Queen) has bought the rights on the 1785 London set novel which follows Jonah Hancock, a prosperous merchant and widower, whose Captain returns having sold Hancock’s ship and cargo in exchange for an extraordinary creature; a mermaid. This mermaid becomes the subject of great curiosity and forges an encounter between Hancock and the desirable courtesan, Angelica Neal. The story describes their intertwined lives. This historical fantasy was sold earlier this year in a race between ten publishing houses for a six number sum. 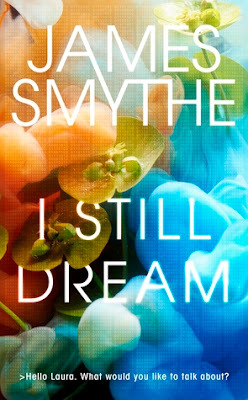 Downton Abbey, Last Kingdom and Jamestown producers Carnival Films are set to turn dystopian novel I STILL DREAM by James Smythe into a TV series. It follows 17 year old Laura Bow who has invented a rudimentary artificial intelligence Organon. At first it’s intended to be a sounding board for her teenage frustrations, a surrogate best friend; but as she grows older, Organon grows with her. 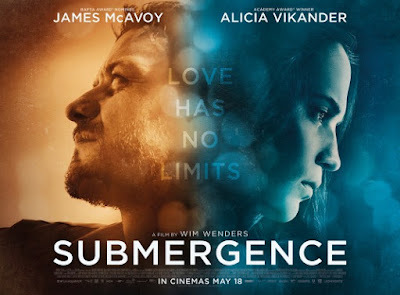 As the world becomes a very different place, technology changes the way we live, love and die; massive corporations develop rival intelligences to Laura’s, ones without safety barriers or morals; and Laura is forced to decide whether to share her creation with the world. If it falls into the wrong hands, she knows, its power could be abused. But what if Organon is the only thing that can stop humanity from hurting itself irreparably? 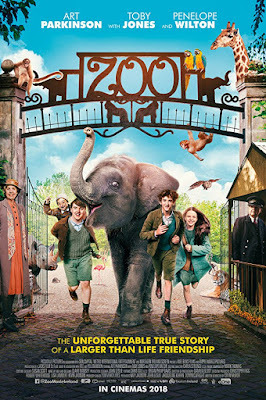 And a delightful family movie trailer for you today: out this June in cinemas ZOO is a family adventure movie based on a true story. 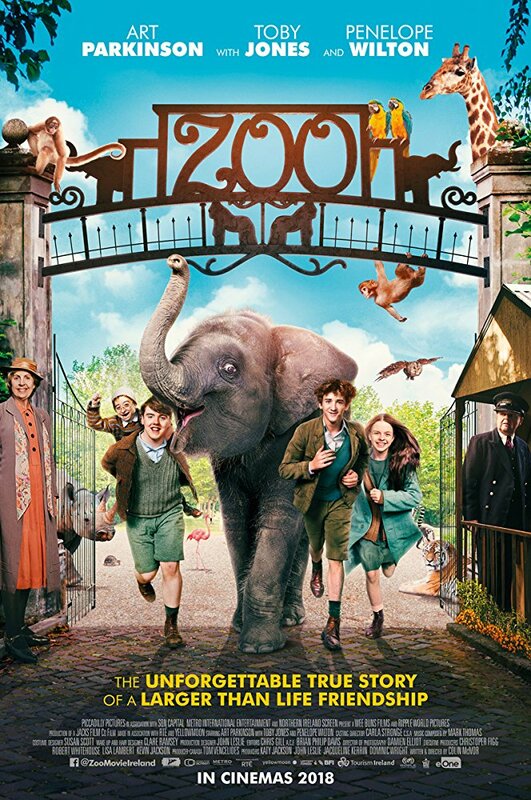 Directed and written by Colin McIvor, with the cast that includes British acting legends Penelope Wilton and Toby Jones, the movie sees young Art Parkinson playing lttle Tom who, together with his misfit friends, fights to save 'Buster' the baby elephant during the German air raid bombings of Belfast in 1941. 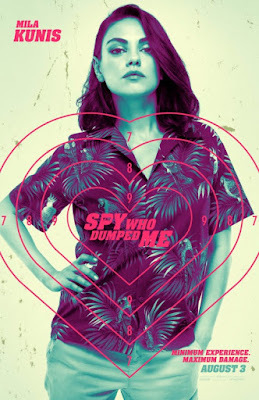 Samuel Goldwyn has secured rights for USA so it will hit North American cinemas this year as well. 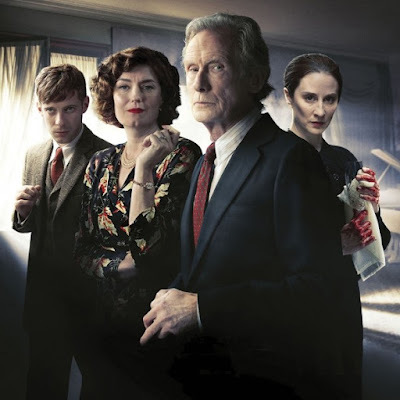 Bill Nighy leads the cast as the victim's widower! again too. They have also changed the ending from the one in Christie's novel for which they've got a special permission from Agatha Christie's estate. the truth then the wrong person was arrested for Rachel’s murder. And if Jack is innocent, then it must have been somebody else at Sunny Point. 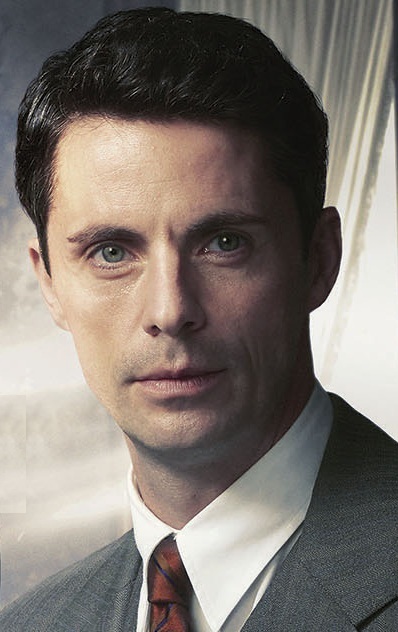 Somebody still out there…Matthew Goode plays Mary's disabled husband Philip. SKY ORDERS 3RD SEASON OF 'JAMESTOWN' EPIC SAGA WITH NAOMI BATTRICK, MATT STOKOE, STUART MARTIN, BEN STARR! 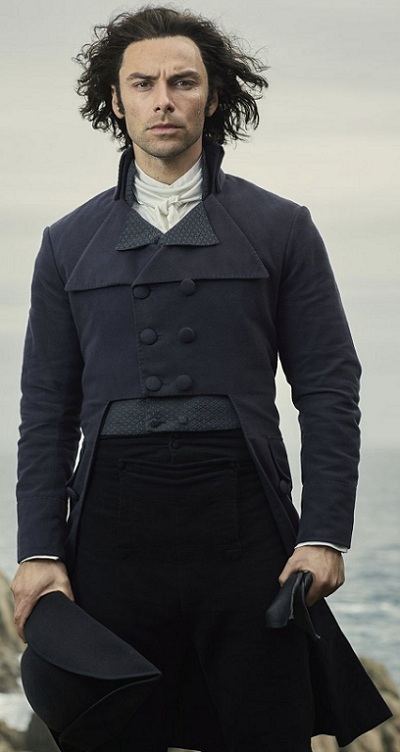 1ST 'POLDARK' SEASON 4 AIDAN TURNER PHOTO! 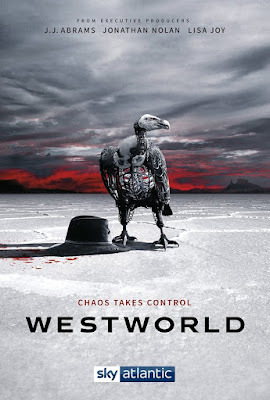 'WESTWORLD' SEASON 2 POSTER IS IN! Rejoice, people! Sky has just confirmed that their marvellous epic saga JAMESTOWN will get 3rd season! 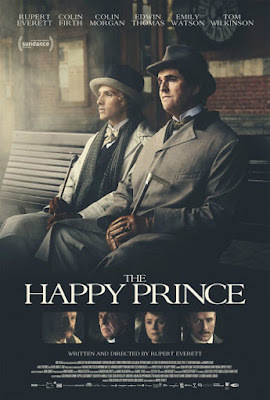 The 2nd season proved to be even better than the brilliant first one with outstanding cast, good dynamics and stories. Starr, Niamh Walsh and others) which invested so much love into their work. First season starts airing March 23rd in USA on PBS Masterpiece Amazon Channel. empowered George Warleggan (Jack Farthing), and risking everything as he embarks on a political journey which takes him to the capital. We're waiting for the first trailer! 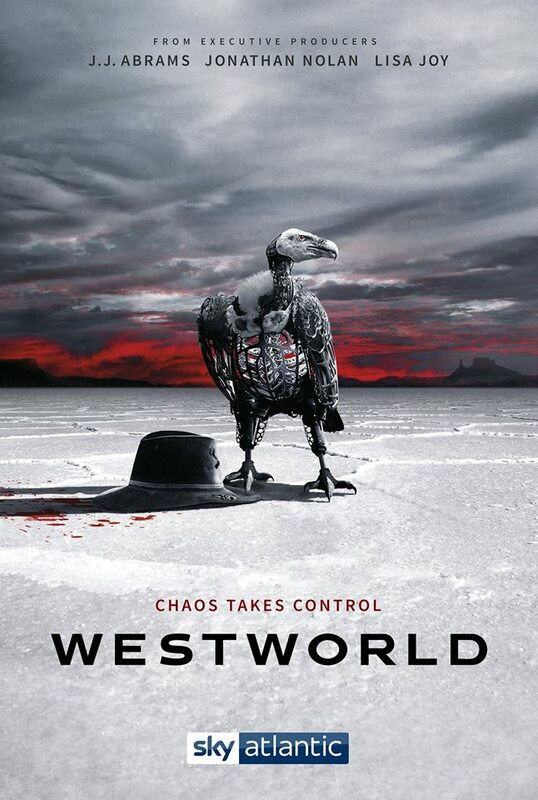 After that teaser trailer last month, HBO has revealed the first poster for the second season of their super popular epic saga WESTWORLD which comes back April 22nd bringing chaos and destruction to the amusement park with the cast again led by Thandie Newton, James Marsden, Ed Harris, Rodrigo Santoro and Evan Rachel Wood! The story, this time, might delve into other theme parks that Delos Corp owns. 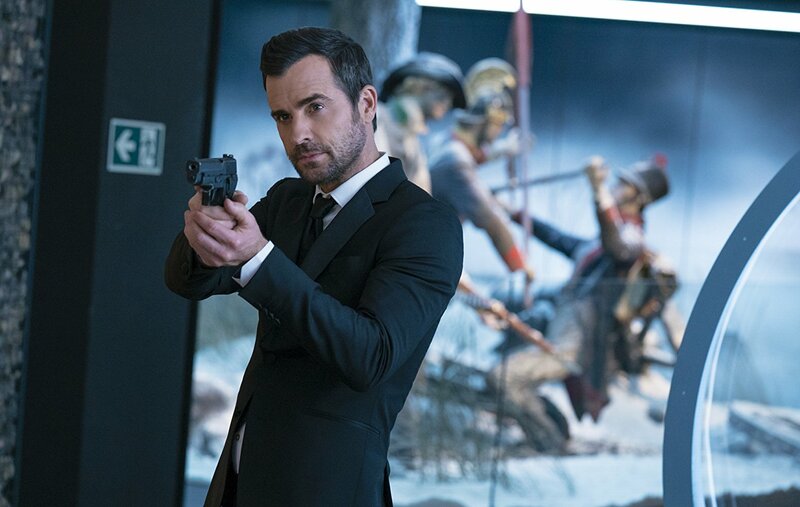 The episodes will again air around the world a day after the US premiere. Peter Mullan is joining the cast as James Delos the founder of the park which is now under a full uprising of the android hosts! Although everybody's fave Momma Durrell Keeley Hawes is to play British Home Secretary in new BBC series Bodyguard with our dearest Richard Madden, it seems she will rule politics in JERUSALEM as well over at Channel 4! 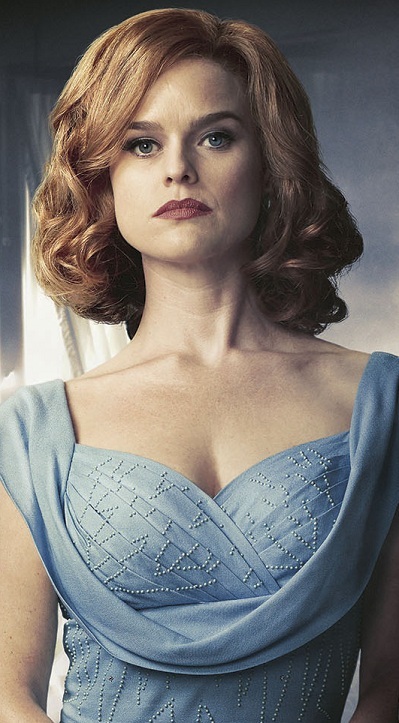 She has just joined their new period set World War 2 series in which Emma Appleton plays a young woman who joins British civil service in 1945 and agrees to spy on her own government for the Americans. 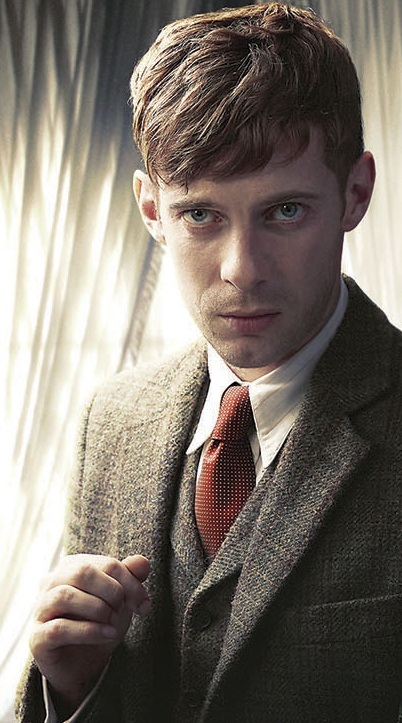 Luke Treadaway, Matt Lauria, Brandon P. Bell and Stephen Campbell Moore also star in the WW2 drama in which Keeley Hawes will play her exacting boss at the civil service, who becomes an unlikely role model of what a woman can achieve in a man's world. This means Keeley will have a series within the same year on each of UK's three biggest channels. Meanwhile, another great British thespian Emma Thompson will produce a period set horror TV series based on a long lost script HARROW ALLEY over at HBO! 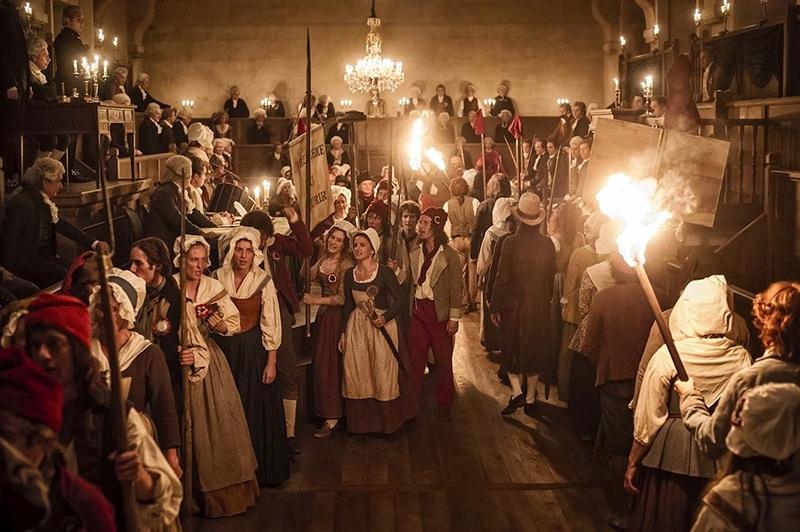 The story is set during the black plague in the 17th century and follows an English town as it deteriorates. It revolves around the fortunes of two men, likeable but lawless rogue Ratsey and well meaning alderman Harry, who are both trying to survive the dangers of the time. 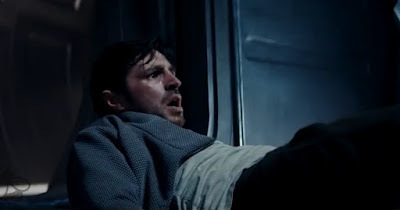 The script was originally written by classic Hollywood writer Walter Newman and is often, as 'Deadline' reports, used in film classes becoming in certain way legendary. 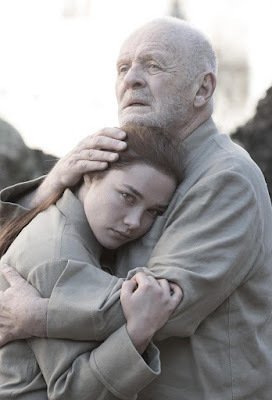 FOR ANTHONY HOPKINS SUPER STELLAR TV DRAMA! BBC and Amazon have revealed first photo of Anthony Hopkins as KING LEAR and Florence Pugh as his youngest daughter Cordelia from the latest TV movie adaptation! Hopkins plays a fictional present ruler, presiding over a totalitarian military dictatorship in England. 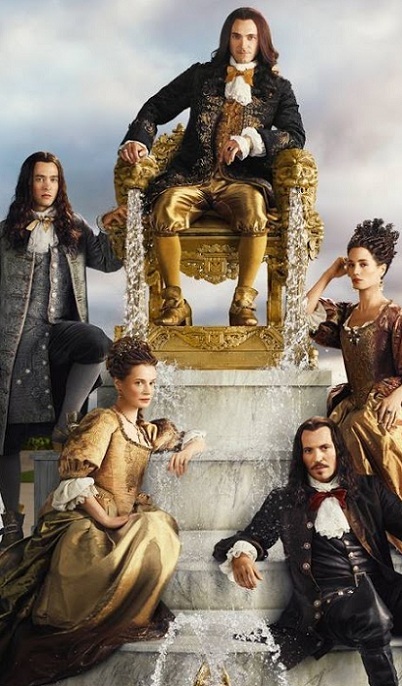 Emma Thompson is his eldest daughter Goneril, Emily Watson is Regan, Jim Broadbent is the Earl of Gloucester, Andrew Scott his loyal son Edgar and John Macmillan his illegitimate son Edmund. Jim Carter, Tobias Menzies, Christopher Eccleston also star in the super stellar television movie. 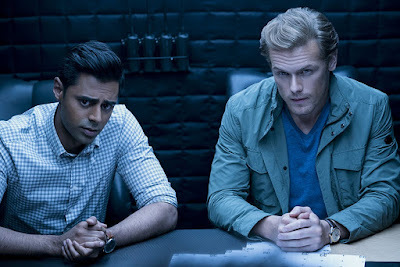 on the run throughout Europe from assassins and a suspicious but charming British agent (Sam Heughan), as they hatch a plan to save the world. While we are waiting for a real trailer, you can check out a visually beautiful clip from Rupert Everett's THE HAPPY PRINCE about Oscar Wilde which also features delightful Colin Morgan as his lover, famous poet Alfred Bosie and gorgeous Edwin Thomas as Robbie Ross. Emily Watson, Tom Wilkinson and Colin Firth also star in the untold story of the last days in the tragic times of Oscar Wilde, a person who observes his own failure with ironic distance and regards the difficulties that beset his life with detachment and humour. The film is out in May in Germany and June in UK. IN THE 13TH CENTURY LATVIA! Sticking to the period set movie topic today, the spy will also present you with the trailer and a poster for a movie from a country I've never shown you anything before - Latvia! 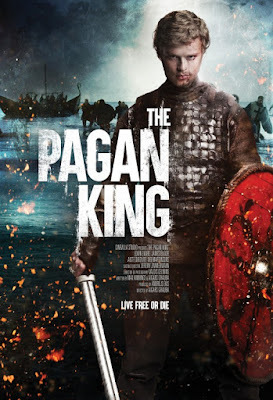 Take a look at their historical epic THE PAGAN KING (Nameja gredzens) set in the mediaeval past of those cold regions of Europe! 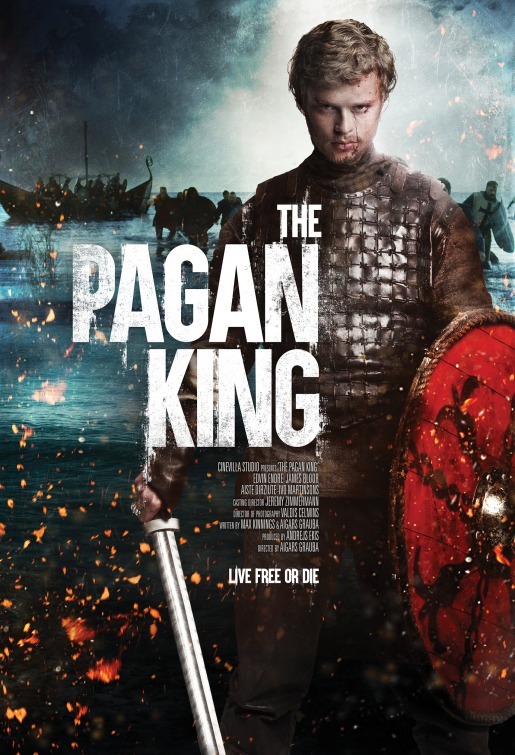 On his deathbed, the reigning king bestows power to an unexpected heir who must find strength within himself to unite his people against the violent crusades which threaten their freedom. The legend of the Ring of Namejs takes place in the 13th Century in Semigallia, where the young Namejs (Edvin Endre) becomes the new king after the death of his regent Viesturs (Egons Dombrovskis). 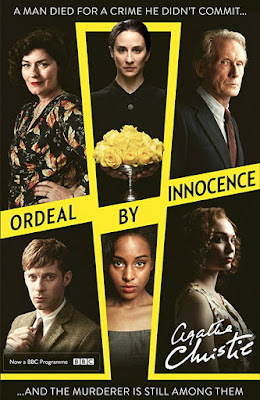 Beside A Suitable Boy and Black Narcissus at BBC (whose Ordeal By Innocence has been just set for Easter Sunday), it seems we are getting a new India set series at ITV too after their Indian Summer saga. Viceroy's House's Gurinder Chadha will helm the six part 19th century saga BEECHAM HOUSE about a handsome and soulful former soldier, John Beecham, who has acquired the Delhi house to start a new life for his family and a business as a trader. Wealthy and distinguished, John has witnessed profiteering and exploitation during his time with the controlling East India Company and appears haunted by his past. Determined to escape that life, he sets his sights on becoming an honourable member of the region’s trading community. But in the glorious setting of BEECHAM HOUSE, John’s life remains shrouded in mystery. His arrival provokes gossip amongst the servants and despite filling his residence with relatives and friends, Beecham’s house still has dark corners that crackle with conspiracy and sinister intent. The story also unfolds at a time when the 1,000 year old Mughal rule is over and the British vie with the Maharajas to claim India as their own. alien life. When terrifying events begin to take place they start to question each other, and surviving the journey proves harder than anyone thought. 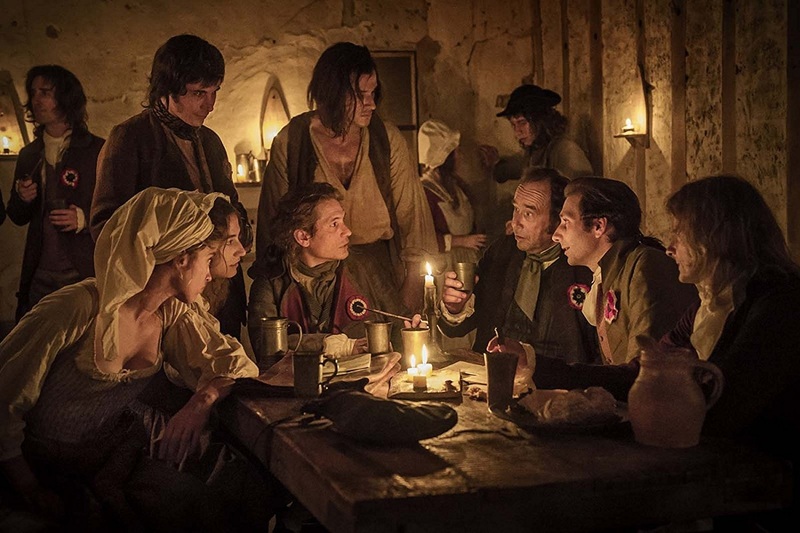 Eoin Macken, Sam Strike and Gretchen Moll lead the cast. 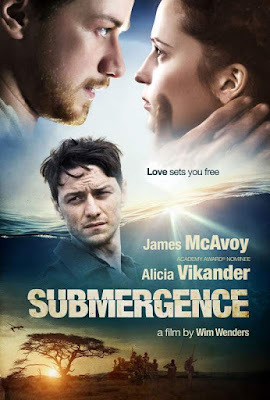 Wim Wenders and starring James McAvoy and Alicia Vikander in a movie based on a best selling novel by J. M. Ledgard. 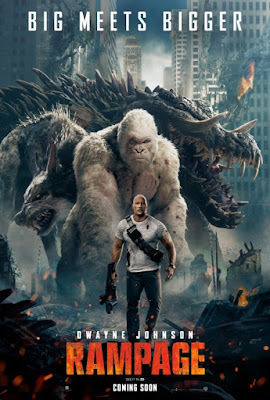 The movie is already out in Russia, Spain and parts of Asia. on a beach in France led to an intense and enduring romance. First reviews over at IMDB say Alicia again fails to create any chemistry with her on screen partner. 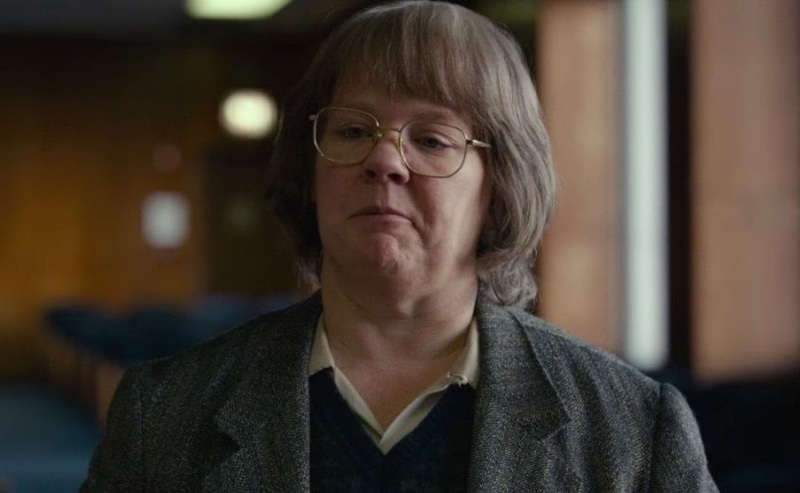 But then again she did not even have it with her real life husband Michael Fassbender in Ocean Between Us. First poster has been released for a sequel to Young Detective Dee Rise of the Sea Dragon from 2013 DETECTIVE DEE AND FOUR HEAVENLY KINGS which is out in China this summer! 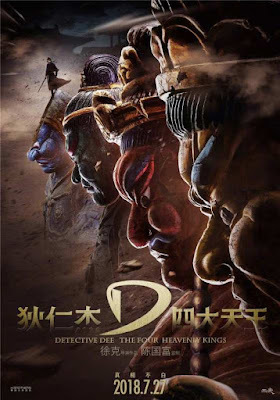 It stars Mark Chao as Detective Dee who is forced to defend himself against the accusations of Empress Wu (Carina Lau) while investigating a crime spree. Asian star William Feng is also in the cast! 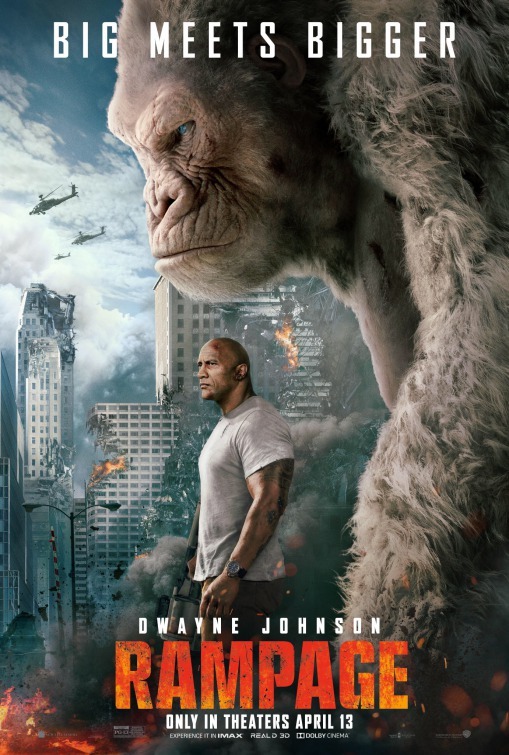 destroying everything in their path, Okoye teams with discredited genetic engineer Dr. Kate Caldwell (Naomie Harris) to secure an antidote. The two fight their way through the ever-changing battlefield, not only to halt a global catastrophe, but also to save the fearsome beast that was once Okoye's friend. 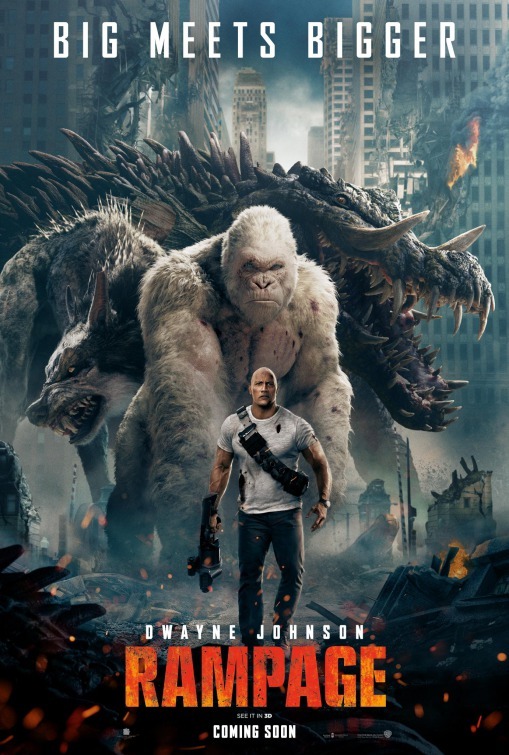 The cast also includes Joe Manganiello as Burke, the leader of a private military group, and Malin Åkerman as Claire Wyden, the woman responsible for the infection and mutation of George, Ralph, and Lizzie with the mutagenic serum for Project: Rampage. HER GREATEST WORK, WILL BE HER BIGGEST CRIME! I just have one trailer for you today, but it is really good! You probably won't recognize Melissa McCarthy in the first trailer for CAN YOU EVER FORGIVE ME? 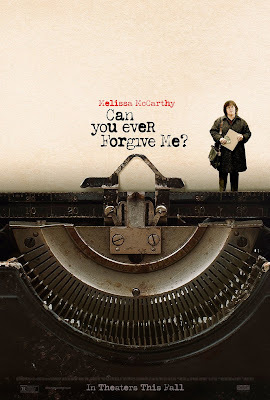 which is out this October based on a true story as revealed in American forger's Lee Israel's biography. 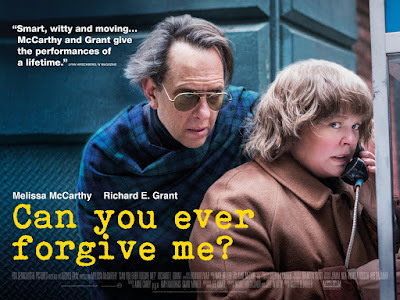 replacing them with her forgeries) abetted by her loyal friend Jack (Richard E. Grant). She later on served a six month house arrest and wrote her own memoir bragging about her criminal deeds. TV comedy news today as we are in the middle of the casting season for new sitcom pilots! I've announced recently that MURPHY BROWN is returning to the small screens at CBS thirty years after its end, and now we have Jake McDorman cast as her grown up son! Candice Bergen returns as news anchor to a world of cable news, social media, fake news and a very different political and cultural climate, with all of the old cast returning too, from Faith Ford and Joe Regalbuto to Grant Shaud! McDorman will play her millennial adult journalist son Avery, who is following in his mother’s footsteps, perhaps too closely, and has his mother’s competitive spirit and quick wit. Nik Dodani joins the old cast as Pat, the director of social media for the news show who is tasked with bringing Murphy and the gang into the 21st century. After casting Cedric The Entertainer, CBS has added another lead to their multicam sitcom pilot WELCOME TO THE NEIGHBOUR HOOD. 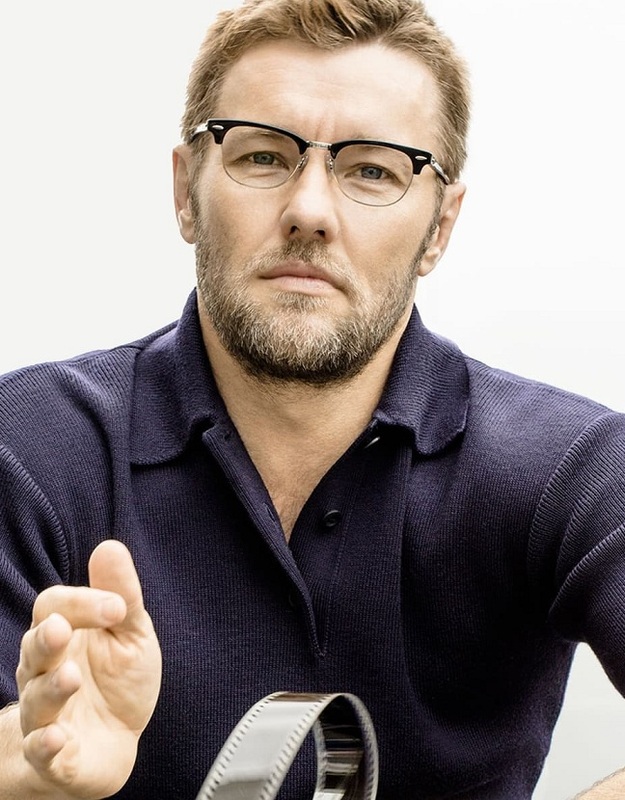 Josh Lawson will play Dave, the nicest guy in the Midwest who moves his family into a tough neighbourhood in L.A. where not everyone appreciates his extreme neighbourliness. Cedric will play his next door neighbour who regards the new family with disdain and as a pack of interlopers, while Tichina Arnold will play his wife who judges them by their knowledge of Scripture (non existent) and their church attendance record (shockingly poor!). And the third blond hunk for today will move to a ranch! You've probably heard that Danny Masterson will no longer be a part of Netflix's multicam sitcom THE RANCH and he will now be replaced by Dax Shepard in the comedy revolving around the dysfunctional Bennett family on their Colorado ranch! He will join the second part of the 20 episode third season as a former soldier who has come to town with some history concerning the Iron River Ranch. He meets the Bennetts and forms an immediate bond with Colt (Ashton Kutcher) and his father Beau (Sam Elliott), but his past has a way of catching up with him. Dax won't be a regular, however, as he will be the lead in another sitcom, BLESS THIS MESS at Fox in which he and Lake Bell play a NY couple which moves to Nebraska to live a simpler life. It doesn’t work out like they planned.